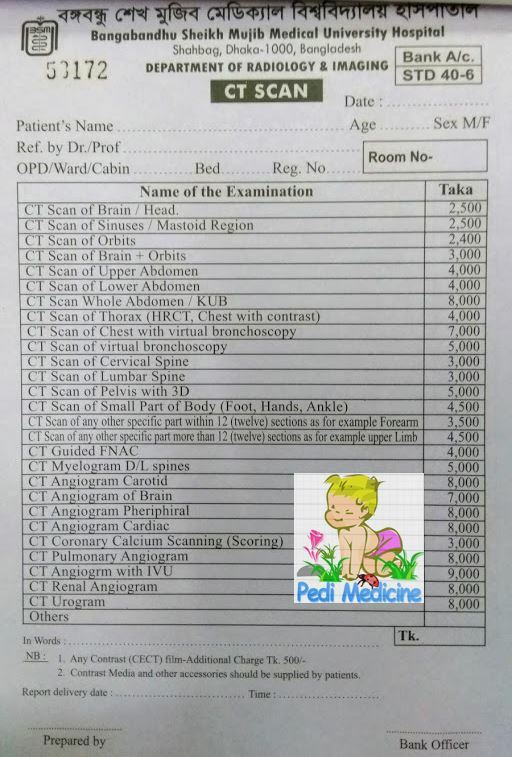 CT scan, MRI, Ultrasonography X-ray are some common investigations done in BSMMU or PG Hospital. These are costly investigations specaillyCT Scan and MRI. The BSMMU has opened a new block just for these investigations procedure. These investigations are now available in F Block. F block is beside the Administration training building. Many readers were asking me the costs of these investigations. So here is a post dedicated regarding how to do CT scan, MRI, Ultrasonography X-ray etc. Computed Tomography is known as CT Scan in short. It is one kind of X-ray. With the help of the computer it creates a more detailed images of the inside of the body. CT scan can be done for any part of the body. It is painless and it does not take much time. You may have seen in movies or TV that a person lying and entering in a doughnut-shaped CT machine. CT Scan with Contrast means substances are taken to visualize the soft part of the body like digestive tract when taken orally or vein when the contrast media is given in a vein. Normally CT scan does not have any major side effects. Some may develop rashes which disappears usually within few days. See here in radiologyinfo for more details information about CT Scan. Magnetic resonance imaging or MRI uses magnetism and radio waves rather than x-rays. It also uses computer to produce 3 dimensional images of body structures. MRI is painless and it does not involve x-rays, so its safer than CT Scan. The MRI scanner is a tube surrounded by a giant circular magnet like as CT scan machine. MRI also does not have any major side effects. 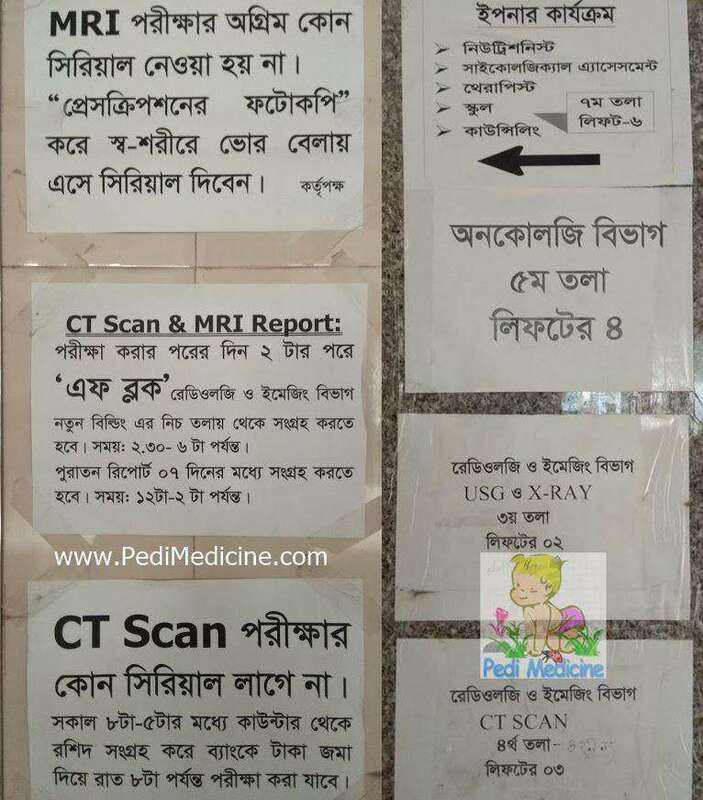 How to Do CT Scan and MRI in PG Hospital? 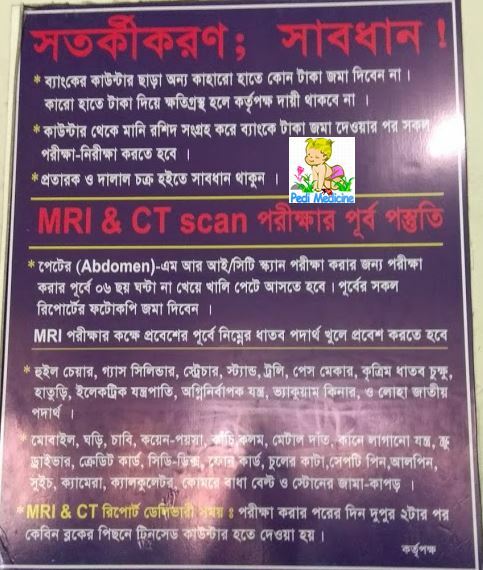 CT Scan and MRI can be done any day except Friday and Government holiday from 8AM to 8PM. There is no need of giving serial for CT Scan and MRI. The patient will need the Photocopy of the Prescription and come early in the Morning. Then deposit money and collect the money receipt. The CT scan department is in 3rd Floor. The CT Scan and MRI report can be collected from Ground floor of F Block from 2.30PM to 6PM. Have you heard the name of Neuroscience hospital shortly known as NINS. It is ranked number 1 hospital in specialized hospital category in Bangladesh. I have visited a few times. 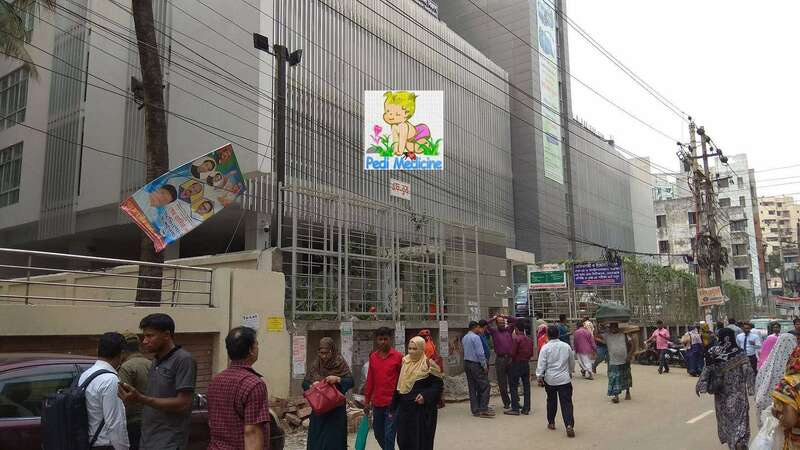 Its the most sophisticated and clean hospital in Bangladesh. NINS is located in Agargaon. 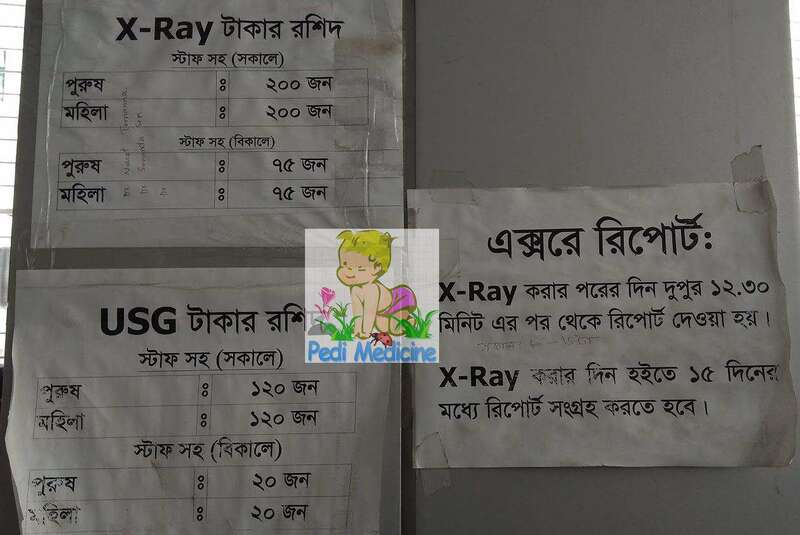 How to Do Ultrasonography and X-ray in PG Hospital? 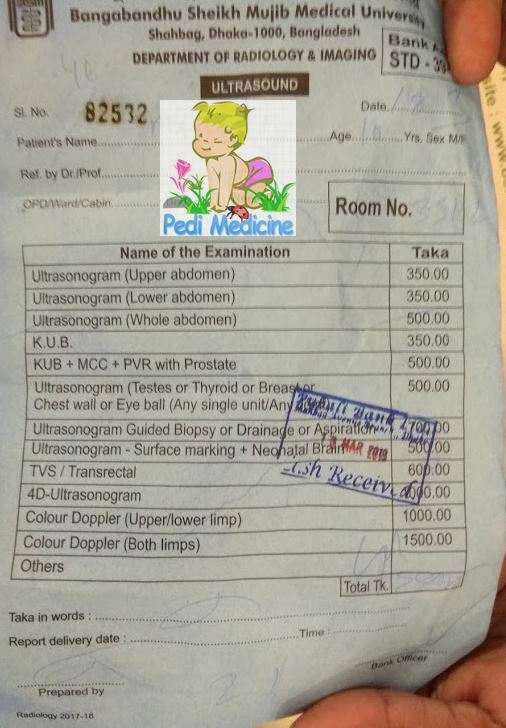 Ultrasonography and X-ray is done with a very low cost than other private hospitals. But there are huge crowd. So consider going in the afternoon for the procedure. There are total 200 male and 200 female Xrays are done in the morning. And in the evening 75 male and 75 female xrays done. 120 male and 120 female USG are done in the morning and 20 USG are done in the evening period. SO thats all for now, If you have any query ask me in the comments. Thanks.